Previously I’ve read books by Pastor John MacArthur and frequently listen to his sermons and conference messages. Pastor MacArthur has a passion for the Word of God and his teaching is theologically sound. That’s why I wanted to read his newest book, Strange Fire, to learn more about the charismatic movement. I found Strange Fire very challenging to get through it. This book includes a lot of details about the background of the charismatic movement founders in the early 1900’s and goes through present day. Scripture is interspersed throughout the book and is used as a plumb line to measure the actions, words and deeds of prominent charismatic leaders to see if they are biblically sound. As a Christian, I was appalled at the teaching, claims and lives of prominent charismatic leaders. It was painful to learn that instead of being run out of town these immoral charlatans, frauds and apostates were applauded, embraced and heralded as healers and prophets. It’s frightening and tragic to think of how many people have been deceived and taken in by this false gospel that dishonors God. It was refreshing in the last section of the book to see what is the true work of the Holy Spirit is in the world and the life of Christians. This book helped me to understand clearly the importance of sola Scriptura and the importance of using the Bible to evaluate those who claim to be healers, prophets or speaking in tongues. Does what they say and do line up with Scripture? All in all this was a very painful book to read. Even so, I would recommend this book to Christians so they can better understand a movement that calls itself Christian, but may not line up with the Word of God. 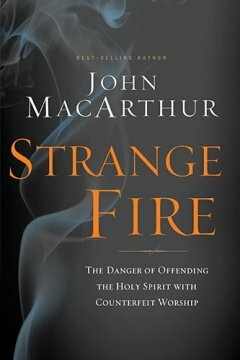 I would also recommend that readers go to the Strange Fire Conference website and listen to or download the messages from the 2013 conference. I would like to thank Booksneeze for providing me with a free copy of Strange Fire in exchange for an honest review. I was under no obligation to provide a favorable review. When my dear friend Ruth told me that she was writing a book of Biblical blessings, I was so excited and could hardly wait until it was published. I looked forward to holding “Speak to Your Heart” in my hands and reading the blessings which she had written. Ruth Stingley is a prayer warrior. If I’m going through difficult times, need encouragement or wisdom Ruth is a person I want to have praying alongside me. It’s been my privilege to have this lovely woman of God pray for me over the years. Her prayers are Christ centered and honoring to God. She is realistic and doesn’t deny that bad or difficult things happen. But rather than be overwhelmed by circumstances, Ruth is in awe and overwhelmed by her Heavenly Father, her Lord and Savior Jesus Christ and the Holy Spirit Who dwells within her. She has a confidence and assurance of who she is in Christ and the spiritual blessings that God has given believers. She takes time to meditate on scripture and dwell on God as He has revealed Himself in the Bible and sing His praises. Because of the many blessings I have received from Ruth, I want to pass those blessings along and offer Ruth Stingley’s book “Speak to Your Heart” to one reader. If you would like to receive this book, please leave a comment and on May 1st, I’ll select one person’s name. If you are the winner, I’ll notify you via email or on this blog. Once I get your mailing information I’ll send you a copy of the book. In the meantime, check out Ruth’s website Speak to Your Heart and learn more about the author and her book. Good golly it’s Friday and I wanted to participate in Lisa-Jo Baker’s Five Minute Friday writing challenge. Head over to “Lisa Jo Baker”, and take some time to read some of the entries from other writers. I can promise you that you will be blessed. 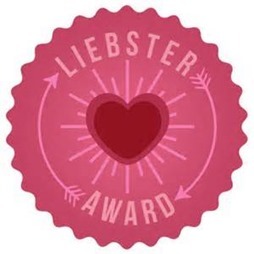 What a nice surprise when I received an email from Wanda at The Watered Soul passing the baton of the Liebster Award to four other bloggers and me. Every week, Wanda takes the time to highlight and direct her readers to other bloggers who have posts that are encouraging, introspective, honest and challenging. Through her blog I have found many treasures. Wanda is a very thoughtful, giving, caring and encouraging woman of God. Thank you Wanda! 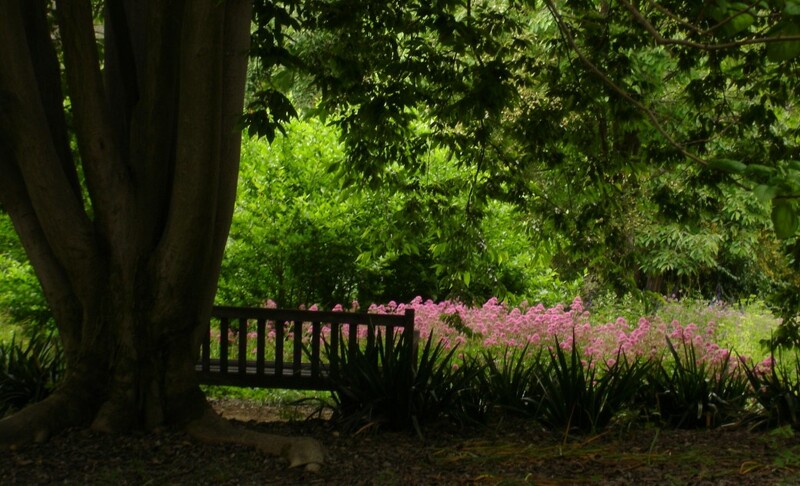 I so enjoyed reading your responses to Denise’s questions at Refine Me Lord. 1. If you could rent a time machine for a day would you like to revisit the past or be catapulted into the future? The day I long for most is the rapture, so perhaps to go forward and see that day and moment when the Lord Jesus Christ will call His church home. But since no man knows the day or the hour of the rapture that may be a little tough. 2. What is one of the best pieces of advice you ever received? From my dear friend Margaret James who knew of my heart’s desire to be married, “Don’t settle!”. Thank You Lord…I didn’t settle and He gave me the man who is just right for me. 3. Which color would best describe your personality? Green, in its many different shades, is my favorite color. Not sure if that describes my personality? But it reflects so much of what I love and appreciate. 4. What is one thing you would include on your bucket list if you had one? I would love to go on a cruise to Alaska and Hawaii too. 5. What is something you once believed was truth but no longer do? Before I repented and received Jesus Christ as Lord and Savior, I was caught up and believed the lies of the new age movement. In hindsight, I recognize it was a bunch of lies and garbage from the pit of hell. 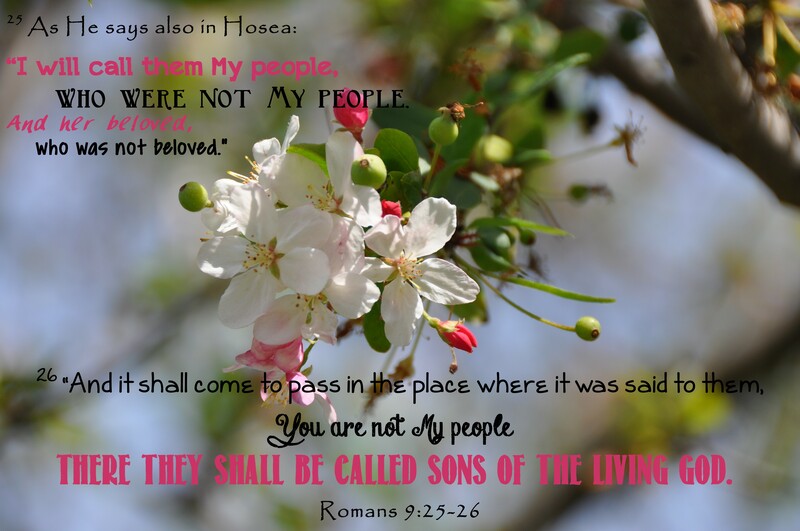 I can’t take any credit for my salvation because I was blind to the truth revealed in God’s Word about Who He is and how I could be saved through the atoning death of His Son Jesus Christ. God alone opened my eye and turned my heart of stone into a heart of flesh. 7. What is something you would like to change on your blog but not quite sure how? I would like to know how to respond via email to the people who leave comments on my blog so that it shows their comments and my response. Not sure if there is a simple way to do that? 8. When it comes to blogging do you have specific schedule or do you write when you feel inspired? I write when I feel inspired and when I have time. Now that I’m a homemaker, I hope to be able to write more often. 9. What is your favorite way to spend a Saturday? Golly…I’m not sure. Until recently my Saturdays were filled with cleaning and errands. I guess I’ll be finding out. 10. What color are the walls in your favorite room of your home? Gold is the color in my favorite room, our den. We have two beautiful chairs which we acquired when we moved into our home and one has beautiful gold threads in the design. It’s a peaceful and quiet room. It’s the place where Chris and I will watch old movies or some PBS dramas or I might knit dishrags or crochet doilies. 11. If you had to pass along one word of wisdom to next generation, what would it be? 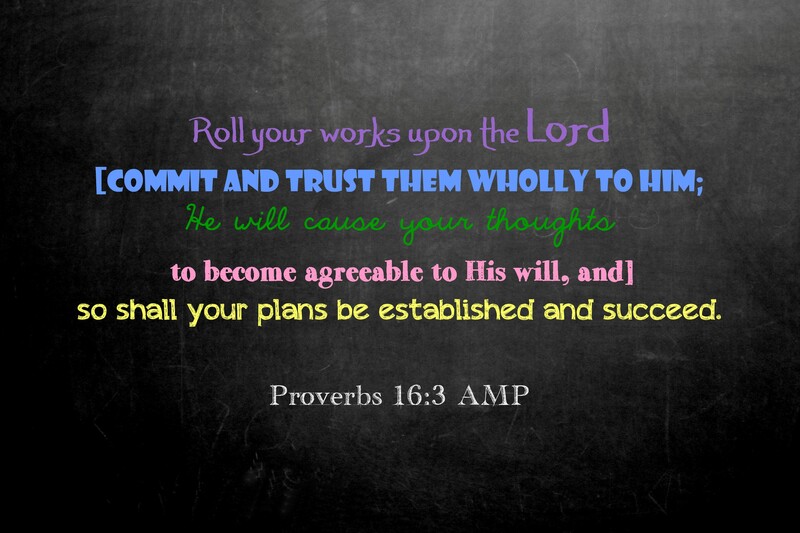 Read God’s Word daily, know it well and obey Him in all things. You will never regret it. I’d also love to hear from any of my readers answering the questions below. 2. Where would you like to go on your dream vacation? 3. How old were you when you received Jesus Christ as Lord and Savior? 4. What do you want to achieve through your blog? 5. What is your favorite book of the Bible? 6. Who is your favorite artist? 7. What new skill, talent or hobby would you want to learn if you had the time? 8. Do you like to read fiction or non-fiction books? 9. What is your favorite time of day? 10. Do you like to sleep in or rise early? Writing has been and remains my safe haven. Writer is part of who I am. It’s another Saturday morn and I wanted to participate in Lisa-Jo Baker’s Five Minute Friday writing challenge. Head over to “Lisa Jo Baker”, and take some time to read some of the entries from other writers. I can promise you that you will be blessed. I have now officially begun a new chapter in my life…that of homemaker. To be honest with you, I’m not even sure what that will look like as I ease into this role. Yesterday was my first day at home. It’s a different pace than my work-a-day world, but at first I have much I need to accomplish. A good and thorough cleaning of our home is top on the list. Four months ago when I had left my job of 29 years, I brought home boxes of things I had at work including pictures and decorations, cards and notes that I had saved. Where I left them is where they remained until yesterday when I finally had the time to go through the boxes and decide what to keep or get rid of. As I read the cards and notes, they brought back a lot of memories, some good and some painful. It got me to thinking, how much do I do that emotionally and mentally. How often do I hold on to thoughts and feelings from the past and not let them go? In doing that, don’t I have less room for the present and what’s going on in my life today? Are my thoughts and feelings colored by what I’ve held on to from the past? 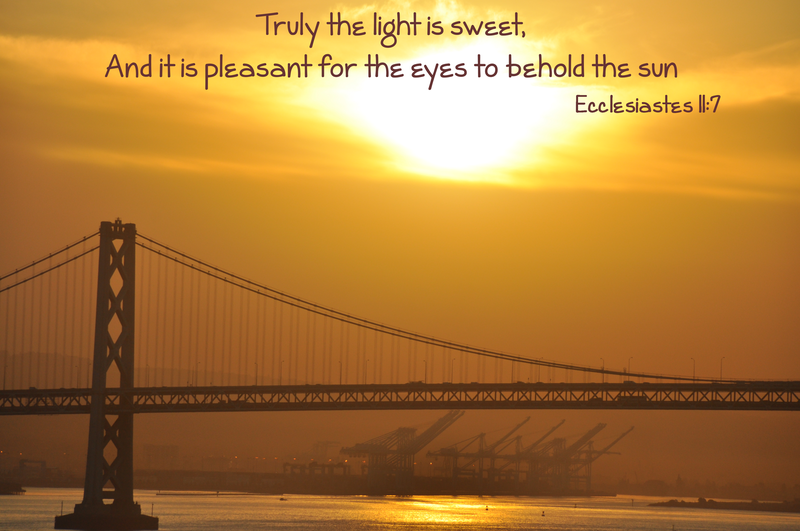 Do I fail to see people and circumstances through fresh eyes? Is my holding on to things and memories, in part, not fully trusting God? Perhaps with some peace and quiet in my days, I will be learning a lot. May I have the ears to hear what the Lord Jesus is teaching me through His Word and prayer and the Holy Spirit within me. May I commit each day to the Lord and be about my Father’s business.